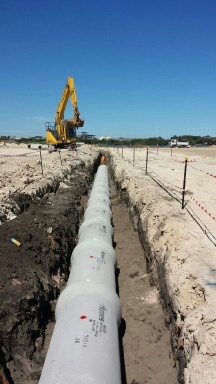 Jonishan has comprehensive experience in stormwater construction. 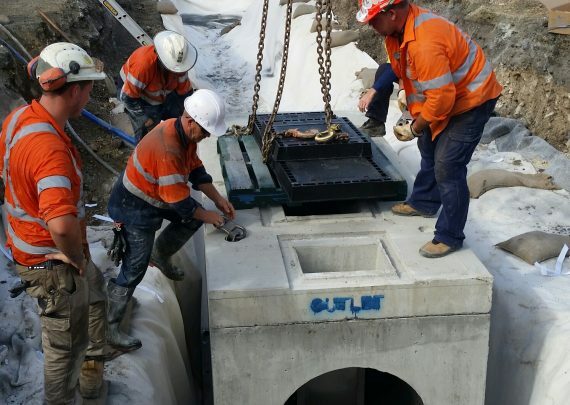 Services provided include construction of junction & inlet pits, culverts, grates, headwalls, deflection chambers, retention and detention structures. Pre-cast concrete or cast in-situ components are used as required. 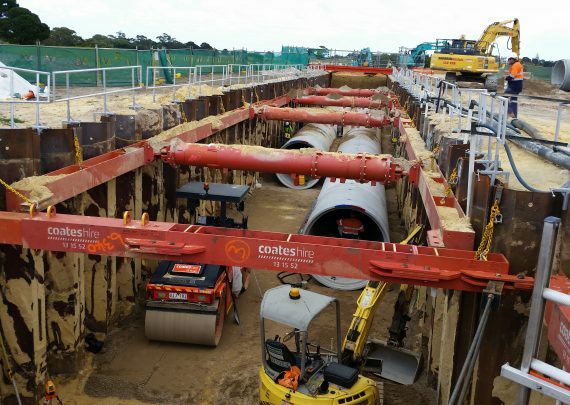 Very deep excavation in often tidal water charged ground requires the knowledge that Jonishan can offer for safe excavation procedures and installation of sheet piling and bracing. 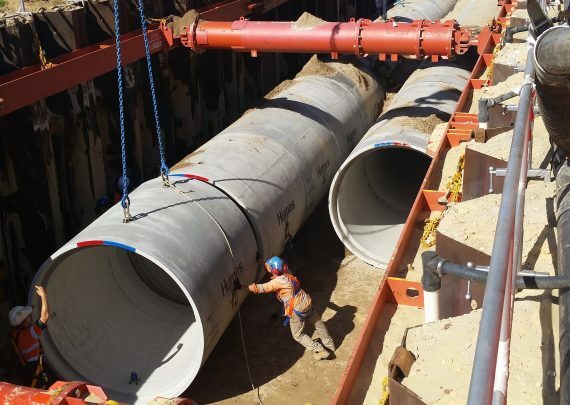 Jonishan has successfully installed a range of stormwater pipe sizes and types, from DN450- 750 PVC Pipe to DN300- 2100 Concrete Pipes. Jointing methods used can be either Rubber Ring Jointing (RRJ) or Flush Joints (FJ). 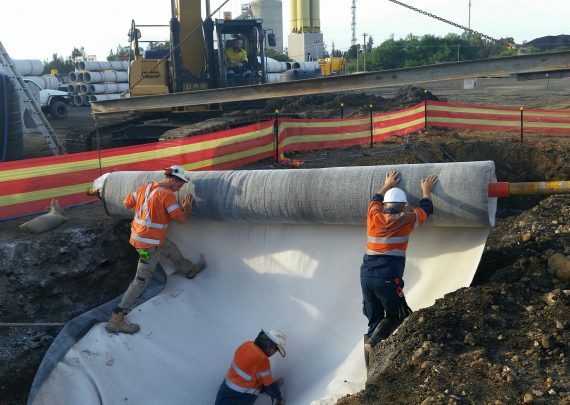 Management of stormwater projects involve complex co-ordination of excavation, installation and connections to existing systems or waterways. 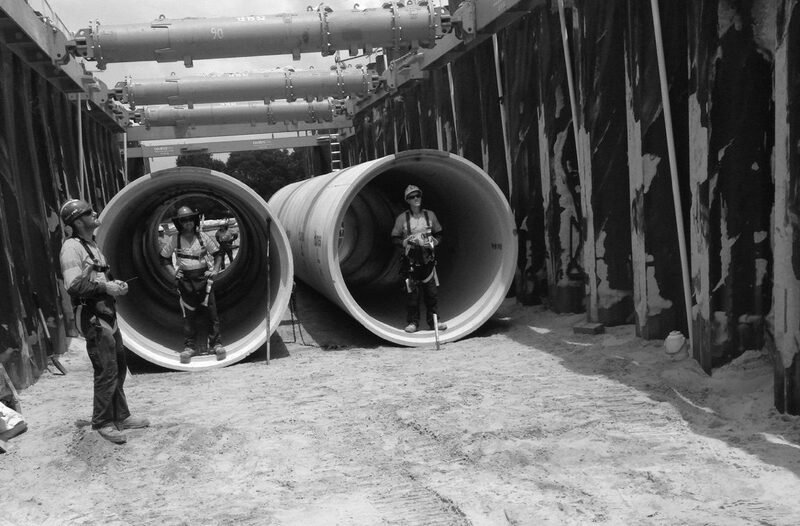 Jonishan’s experience ensures a safe and skillful installation of your stormwater pipeline from start to finish.